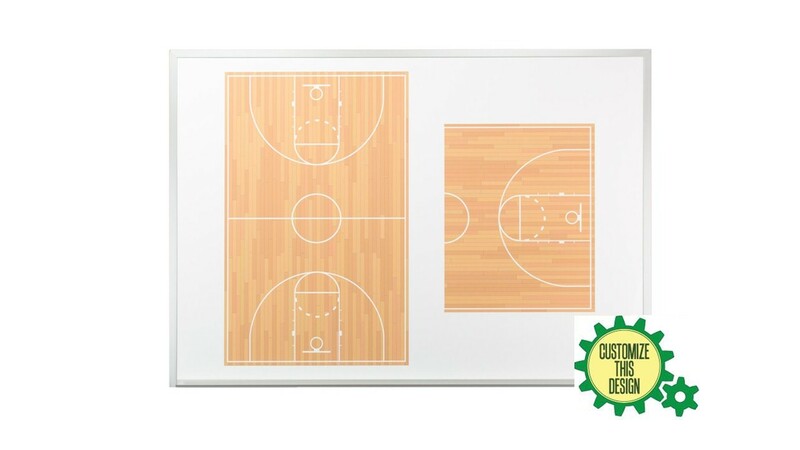 This is our more economical non-magnetic wall mounted basketball dry erase board. A lot of coaches don't want to use magnetic accessories so why pay the higher price for a magnetic receptive board? The nice part is that these non-magnetic versions have the exact same image and the exact same awesome dry erase writing surface as the more expensive magnetic board. 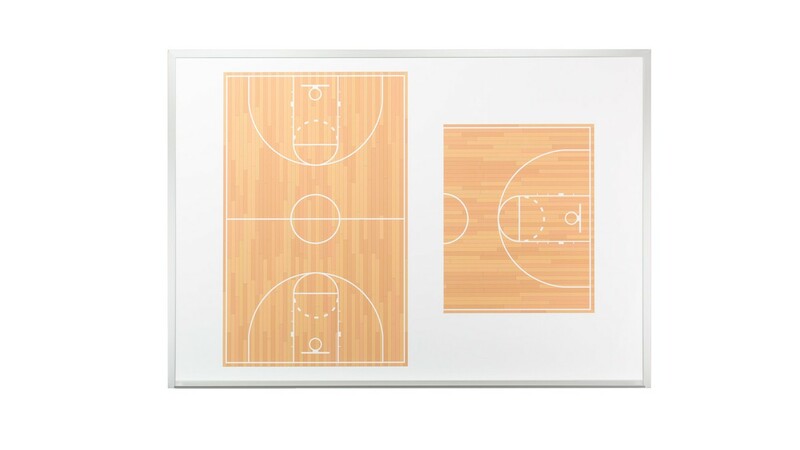 The only real difference is that you can't use any magnets on these basketball boards. You get two different images on one board. 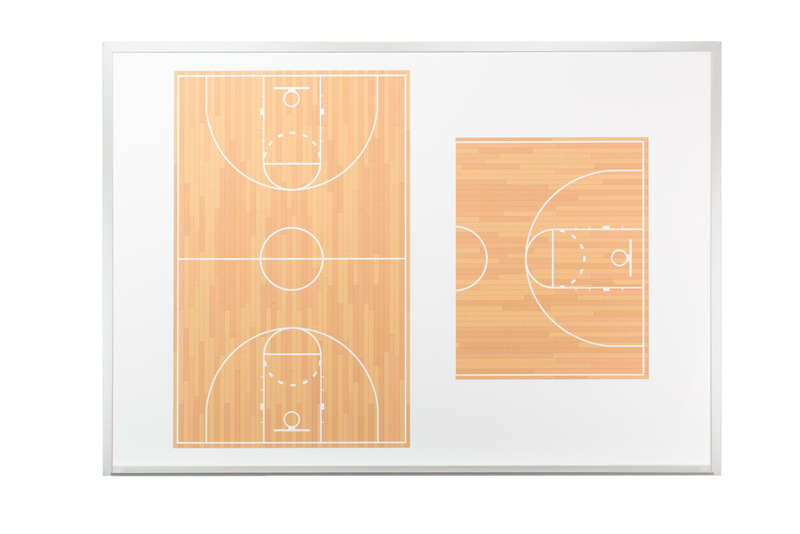 A full court and a half court so you can describe and plan out all kinds of strategy. 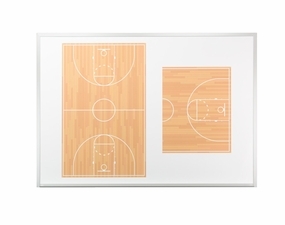 Wall Mounted Basketball Board UPS* 15 lbs. Aluminum trim with full-length marker tray. Eye Hook installation hardware included. Ships by UPS in about 3-5 working days. Can be customized with your team logo for a small additional charge. 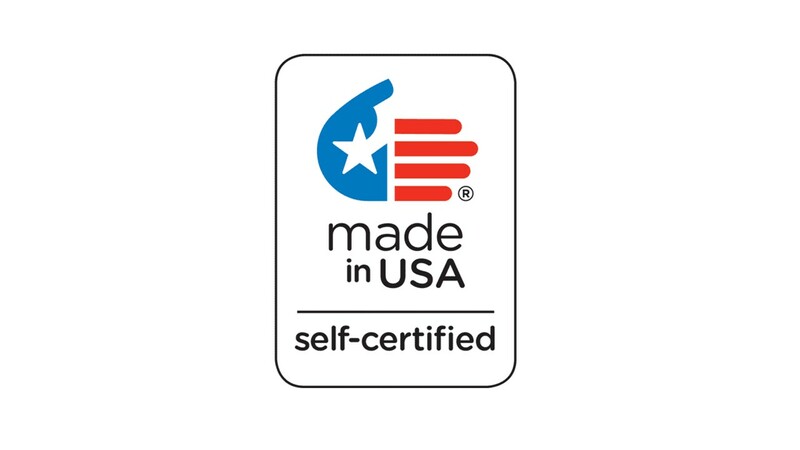 Note That Expo® Brand Or Other Bristle Type Erasers May Permanently Damage The Writing Surface. Always Use A Quality Dry Erase Marker And Wipe Your Board Clean When You're Finished for the Day.